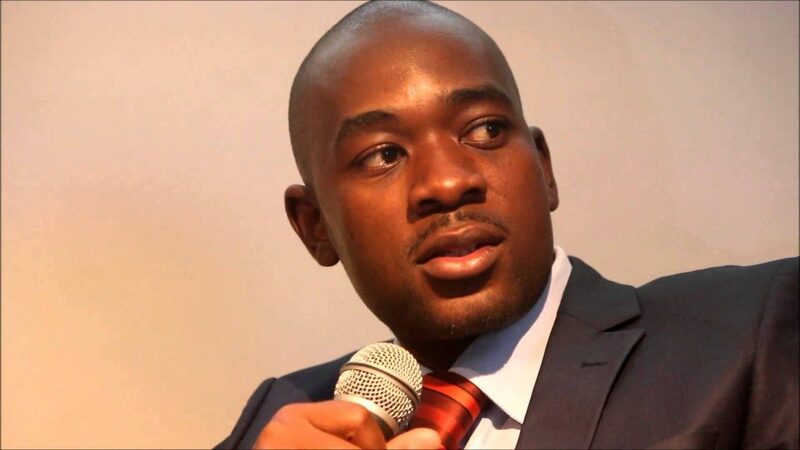 The opposition MDC President Nelson Chamisa who snubbed President Emmerson Mnangagwa’s inaugural dialogue meeting at State House yesterday said he is ready to meet the Zanu PF leader provided the church takes a leading role in bringing them to the table. Briefing journalists after the national leaders breakfast meeting in the capital today, Chamisa said the church is the appropriate institution to facilitate dialogue. “There is no other soft landing platform other than the church. If Mr Mnangagwa is able to give me a call or to receive my calls because I have tried so many times so that we are able to dialogue. Dialogue is the only answer. We can’t run away from each other. When I go to platforms where I expect to see him, he disappears. When he invites me to platforms that he knows I will not be able to come, he pitches up. We want to avoid this cat and mouse, I don’t know who the cat is and who is mouse,” Chamisa said. Chamisa reinforced the need for dialogue saying it is the only way to to address the pending electoral dispute. “The church in this case is the most appropriate and we would be ready any time to dialogue. And I can assure you, there can be dialogue by any other parties, that dialogue will not resolve our issues because it’s a matter of what is the dispute. The dispute is an electoral result that was disputed. That electoral result that was disputed was not disputed by some of the political parties that in agreement with President Mnangagwa. I disagreed with President Mnangagwa and when I come here I do not represent myself. Not Nelson Chamisa the individual; the 41 year old. I am carrying 2.6 million votes on behalf of the people of Zimbabwe. Meanwhile, Chamisa said his attendance at the meeting today must not be misconstrued as endorsing Mnangagwa, charging that he came to the meeting in honor of the senior clergymen who organized the meeting. However, Information, Media and Broadcasting Services deputy minister, Energy Mutodi accused Chamisa of acting in bad faith describing his remarks as meaningless. “What Chamisa has presented in this meeting is what we can call ‘meaningless averments, meaningless statements’ that are not authenticated by law, that are not authenticated by facts. You cannot say the President of the republic is just a president of his own party,” said Mutodi.